Horseshoe Canyon, UT used to be called Barrier Canyon due to the collection of rock art found there. 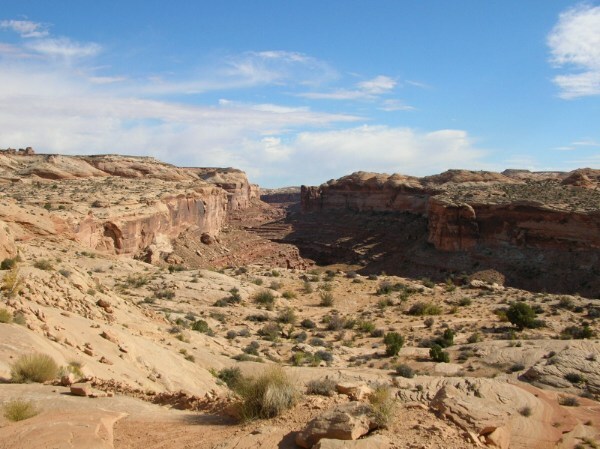 It became part of the Maze district of Canyonlands National Park in 1971. 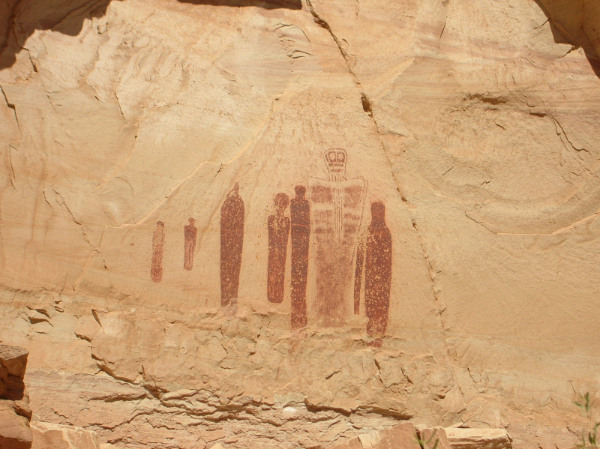 The Great Gallery, which includes well-preserved, life-sized rock art is the reason that visitors drive around 30 miles of dirt road to access the trail head. 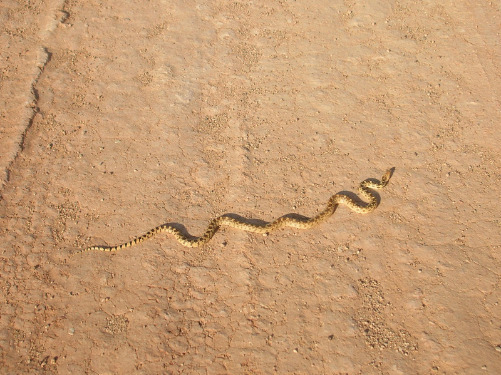 As we drove along the dirt road, this gopher snake was warming itself on the road. We stopped to take photos before encouraging it off the road. We might have saved it's life as, shortly after, we were passed by a truck going to where the snake had been. Result would have been - snake pancake!! 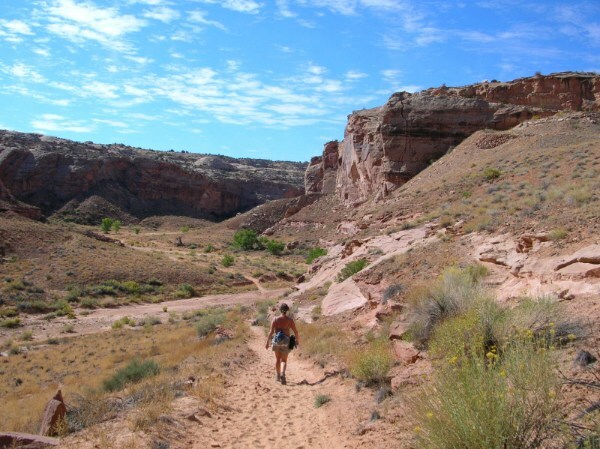 The hike is not for the faint-hearted as you have to hike down 750 vertical feet to get to the canyon. It is well worth the effort though. Take plenty of water – it gets hot in the canyon. Film: 127 Hours (2010) the film starred James Franco as Aron Ralston, the adventurer who famously cut his own arm off to escape from being trapped under a boulder in a slot canyon. 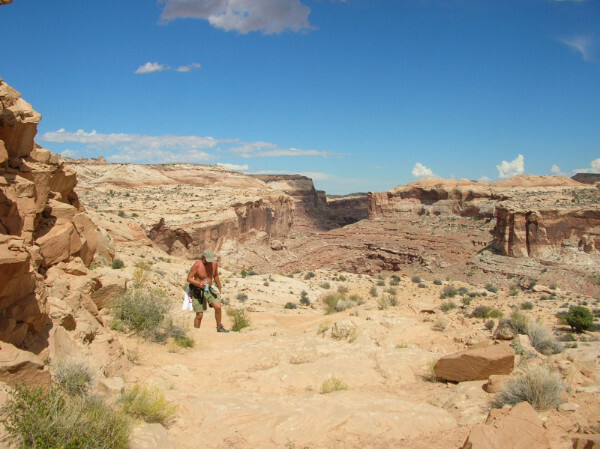 With half of his arm missing, Ralston rappelled down into Horseshoe canyon where he located help and was evacuated to safety. Although 127 Hours was a good movie, it is well worth reading Ralston’s book ‘Between a Rock & a Hard Place’ as it gives a better insight into his life than the film had the time to do. I love Ralston’s comment as he padlocked his bike to a tree in the middle of nowhere: “Never put temptation in the path of an honest man”!! Just some of the amazing rock art we saw. 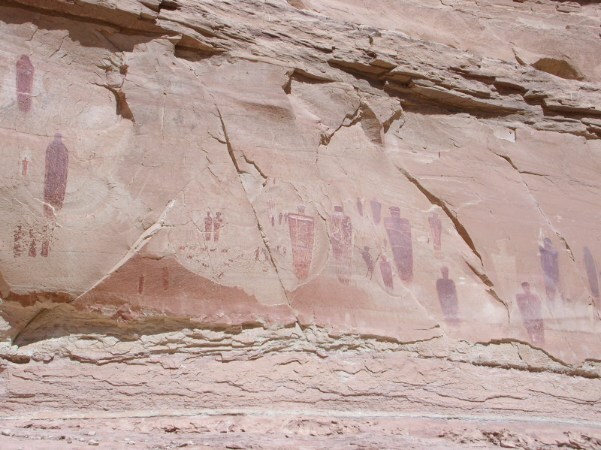 The best known panel in Horseshoe Canyon is the Great Gallery. Hot hike out of the canyon and we were really ready for a beer!! 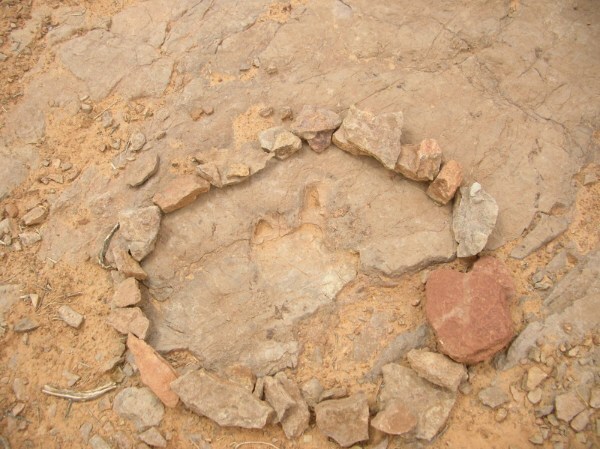 Dinosaur footprint on the way out of the canyon. 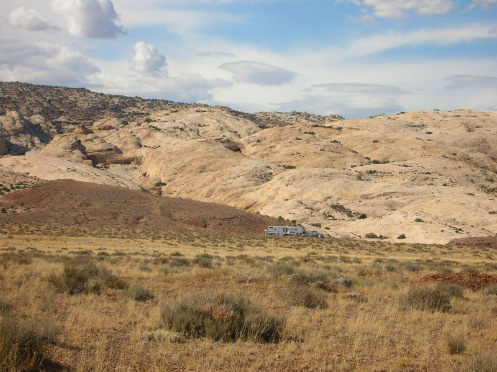 Camping is not allowed within the park boundary but it is allowed on the public land managed by the BLM (Bureau of Land Management). One of the examples of this were some folks we met in a nearby slot canyon - Itchyhitch (look very closely). For the unintiated of you out there, the practice of camping on BLM land is known as 'boondocking'. For the annual payment of $100, you can stay at any location for no longer than 14 nights. (The BLM manages 264 million acres of land in the 12 western US states, so this strikes me as a pretty good deal - but having an RV helps as you wont get running water or toilets)!